IMPORTANT Ensure all heat pads are in place before replacing the Thermal Module. The following thermal pads are approved for use Eapus XR-PE 1. 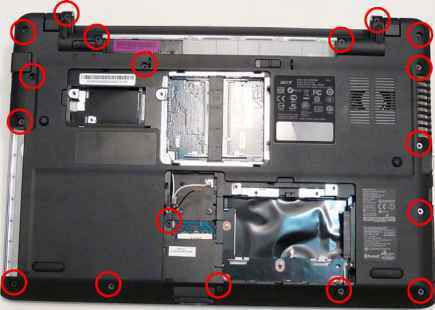 Remove all traces of thermal grease or pad adhesive from the CPU and thermal module using a lint-free cloth or cotton swab and Isopropyl Alcohol, Acetone, or other approved cleaning agent. 4. 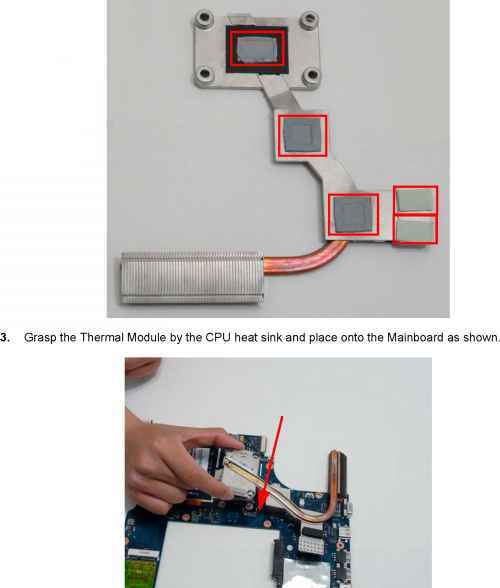 Insert the four screws to secure the Thermal Module to the Mainboard in the following order 1, 2, 3, 4. 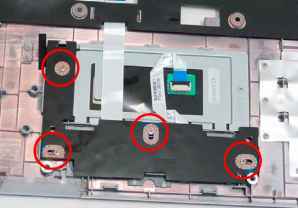 Insert the Power Board into the Lower Cover so the slot on the Power Board hooks onto the securing tab in the upper cover. IMPORTANT The FFC is soldered to the power board. Take care when lifting to minimize bending of the connection, lest breakage occur. 2. Adhere the FFC to the Speaker Module. Connect the DC-In Cable to the mainboard. 2. Reach under the mainboard to plug in the LVDS cable. 3. 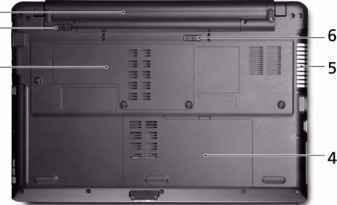 Insert the Mainboard right side first, aligning the I O ports with the Lower Cover. 6. 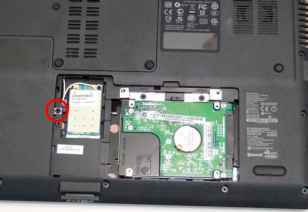 Insert the two screws securing the Mainboard and Fan to the Lower Cover as indicated. 7. 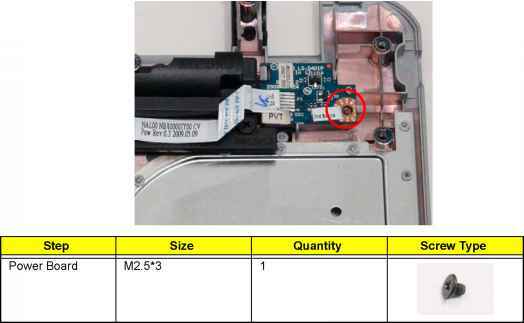 Connect the Microphone Cable to the Mainboard. 7. 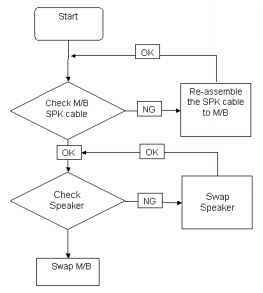 Connect the Microphone Cable to the Mainboard. Connect the I O Board Cable to the I O Board. 2. 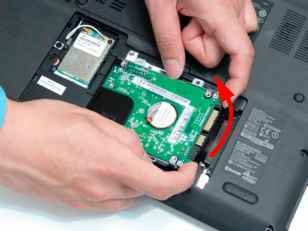 Apply the adhesive to secure the I O Board cable to the Lower Cover. 3. Insert the board into the lower cover so the white tab is under the securing clip in the lower cover, taking care to align the screw holes. 5. Connect the cable to the Mainboard. 5. Connect the cable to the Mainboard. 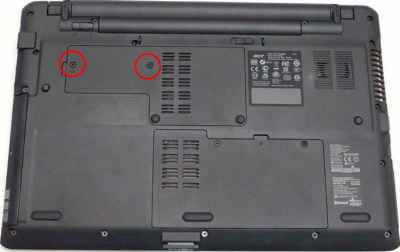 Place the right side speaker onto the Lower Cover as shown. 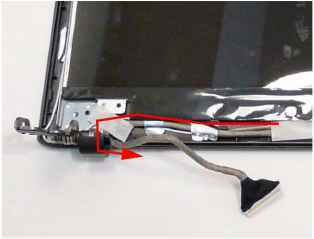 Place the right side speaker into the Lower Cover and peel back the mylar to expose the wire guides as shown. 3. Peel back the mylar and insert the Speaker Cable into the cable channel. Ensure that the cable passes under all cable clips. 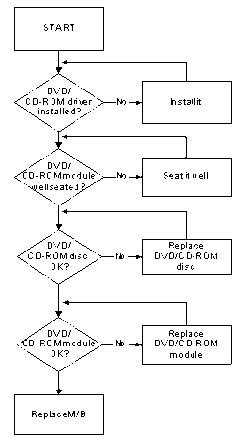 The disassembly process is divided into the following sections External components disassembly The flowcharts provided in the succeeding disassembly sections illustrate the entire disassembly sequence. 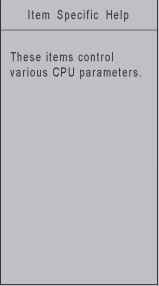 Observe the order of the sequence to avoid damage to any of the hardware components. 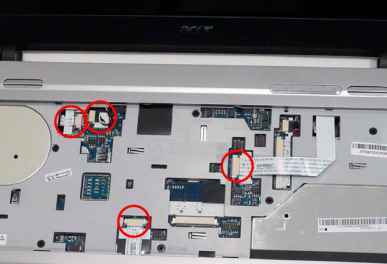 For example, if you want to remove the Mainboard, you must first remove the Keyboard, and LCD Module then disassemble the inside assembly frame in that order. 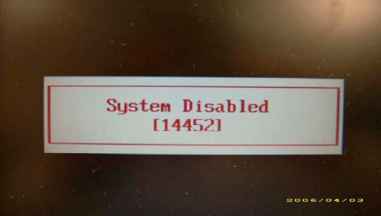 If you key in the wrong Supervisor Password three times, System Disabled displays on the screen. See the image below. 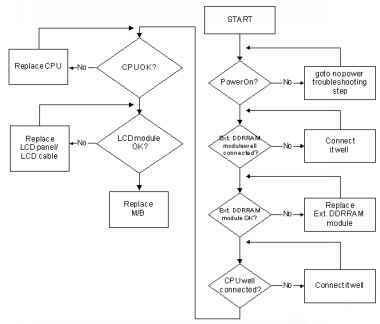 To reset the BIOS password, run clnpwd.exe as follows 1. From a DOS prompt, Execute clnpwd.exe ODER Clean Password Utility VI.00 Press 1 or 2 to clean any password shown as below i.User Password 2.Supervisor Password 2. 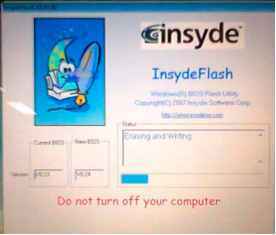 Press 1 or 2 to clean the desired password shown on the screen. The on-screen message determines whether the function is successful or not.